Check out our daily promotions. See also our social media to find out the newest promotions. 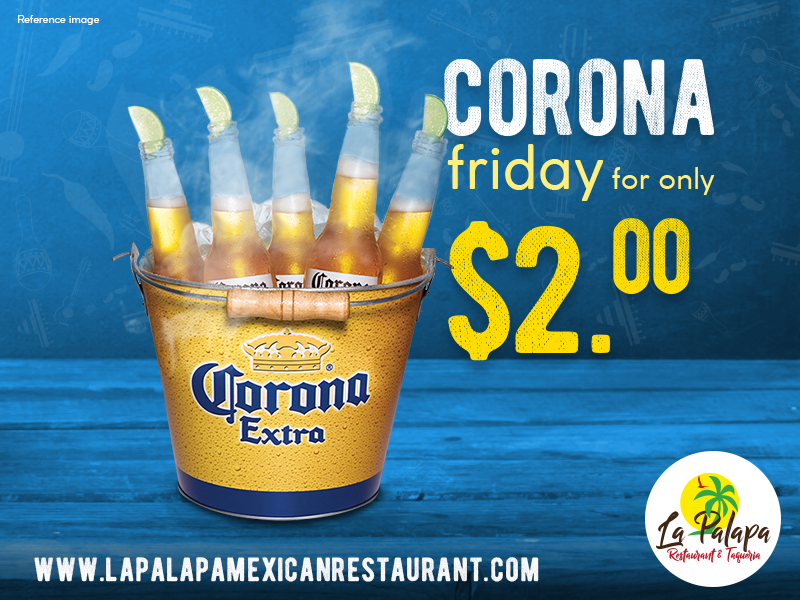 Celebrate the start of the weekend with your friends and family and get your corona for just $2.00. Promotion valid every friday. 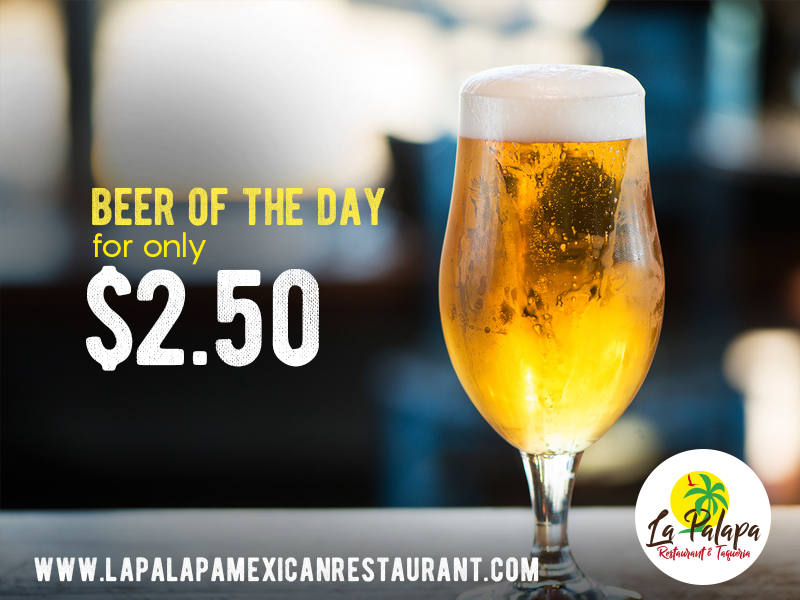 Ask for the beer of the day for just 2.50 $. Promotion valid every day. 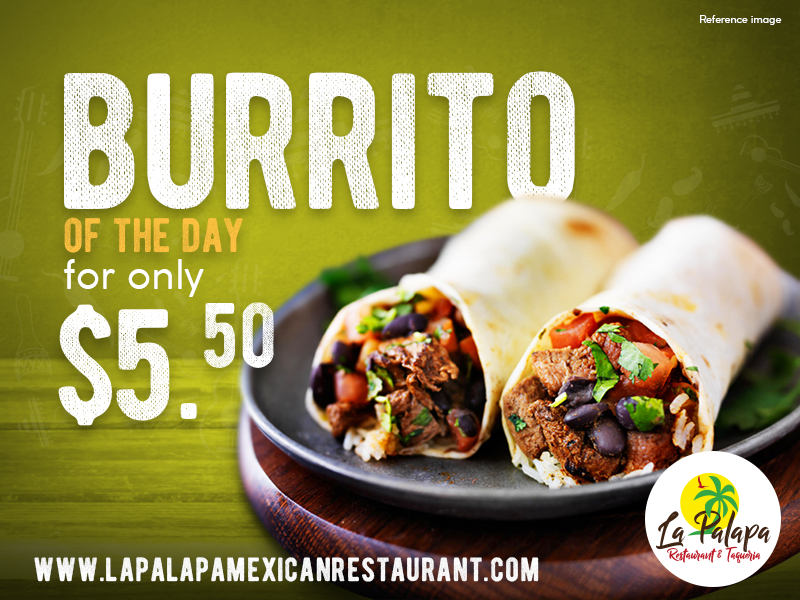 Ask for our burrito of the day and enjoy this delicious Mexican plate for just $5.50! Promotion valid from monday till friday. Go to our Facebook page for our most recent promotions!